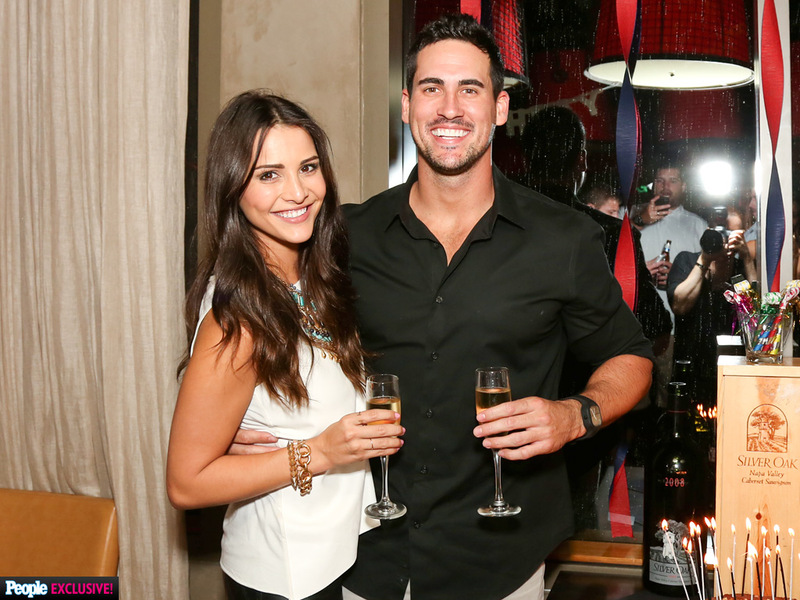 Bachelorette Andi Dorfman and Josh Murray split!! What?! People Magazine has reported that Andi Dorfman and the man she gave the final rose to, Josh Murray have called it quits! But how is this possible when we just saw them on The Bachelor Live Premiere on Monday?! They did reveal at that time that they haven’t set a wedding date yet, but that’s not all that uncommon for a newly engaged couple that just met on a reality TV show and are still getting to know each other. Still, the two appeared to be happy on Monday. Andi was seen continuously rubbing Josh’s back up and down during their interview. Did they have a big blow out fight after the premiere? Was their appearance just staged and pretended everything was okay for the sake of the premiere? It’s hard to tell. She doesn’t give People Mag many details other than the typical statement of “We will continue to be good friends and have nothing but great things to say about each other and wish each other the best.” She stated that this is just what’s best for the two of them individually. Josh wasn’t even close to one of my favorites on my show, but they did seem happy together. Sad that another Bachelor/Bachelorette couple has bit the dust, but that’s how real life relationships go as well. Posted by amandatalkstv on January 8, 2015 in Bachelorette Season 10: Andi Dorfman and tagged Andi Dorfman, broke up, Josh Murray, split.